After successfully passing a background check, you can expect a fast paced, changing environment that includes frequent deadlines and the need to multi-task competing priorities each day. NAVEX Global is an equal opportunity employer, employing qualified individuals based upon job related qualifications regardless of race, religion, ancestry, gender, sexual orientation, national origin, age, disability, marital status, domestic partner status, medical condition, political affiliation or any other classification proscribed under applicable federal, state or local law. NAVEX Global complies with all laws regarding reasonable accommodation for disabled candidates and employees. Applicants requiring reasonable accommodation in order to participate in the interview process are requested to contact Human Resources in order to arrange such accommodation. We offer competitive compensation and an attractive benefits package. No recruiters or agencies without a previously signed contract. 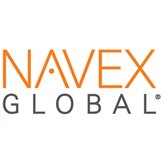 NAVEX Global values diversity and encourages women, vets, minorities and those with disabilities to apply. For this reason, we invite you to self-identify below. Know the information you choose to disclose is confidential and minted by the Human Resources Team for reporting purposes only; the hiring manager for your position does not have access to this information. Thank you for your consideration to self-identify. 1 ) We believe in **evolution over revolution**. The process of quickly creating small changes, collecting feedback and then improving them incrementally is critical to providing the best possible solution for our customers. 2 ) We believe in **a balance between professional and personal lives**. We work with focus and energy during the day and then we go home to attend to our health, family and personal lives. During a crisis, it may be necessary for everybody to be involved for as long as it takes, but these circumstances should be rare. 3 ) We believe **learning and growth are vital**. Career development, coaching and training are not optional or secondary. They are necessary for our growth as individuals and our growth as a company. 4 ) We believe in **team ownership**. We commit to goals as a team and it is the team's responsibility to ensure the job is done. We do not say, "It's not my job". We support each other and hold each other accountable to achieve our goals. 5 ) We believe in **doing what's best for our customers**. We listen to, guide and do our utmost to satisfy our customers both internal and external. Sometimes that means diverging from what a customer is explicitly asking for and guiding them towards the solution that is in their best interest. 6 ) We believe in a **bias towards action**. A good solution today is better than a perfect solution tomorrow. 7 ) We believe in **extensive automation** of routine tasks. Our single biggest cost is our salaries. We hire intelligent, talented people and we need them to work on activities that require their skills. Routine activities are relentlessly automated. 8 ) We believe in **consistency where it matters and autonomy where it doesn't**. It is important for teams to make decisions that are specific and pertinent to their success. Where it is necessary, we will agree on department wide standards. Where it doesn't matter, we believe the team is best suited to make that decision for themselves. 9 ) We believe in **making decisions based on a variety of perspectives**. Decisions made by a single individual are risky and are necessarily skewed by that person's perspective. A wide range of perspectives, personalities and backgrounds helps to produce better decisions. This does not mean we are a democracy. We believe that it is sometimes best for a leader to gather input from a qualified group of people and make an informed decision. 10 ) We believe in using the **simplest solution that effectively solves the problem**. Complexity that adds no value is both expensive to build and costly to maintain. 11 ) We believe that we must be **good stewards of the company's assets**. We all share responsibility in making sure we are using NAVEX's money and property effectively. Making good budgetary decisions is everybody's responsibility. 12 ) We believe that we must **operate by the highest ethical standards**. We are an ethics and compliance company. We as an organization and as individuals must hold each other accountable to behaving in a way that is in keeping with NAVEX's and our customers' high expectations for ethical behavior. 13 ) We believe in using the **best tool for the job**. Often that means adopting the latest technology. Sometimes that means passing up a cutting edge new technology because it's not appropriate for our business needs or is not yet ready for use in production applications. 14) We believe that **software is never done**. Software is a constantly evolving work. Software is not done until the last customer is removed from the system and the last server turned off. Want to get notified about new jobs at NAVEX Global?